Looking for a quality hotel option in Torquay? You'll discover a wide range of options with Wotif. Around 51 are within a radius of 5-kilometre of Torquay. 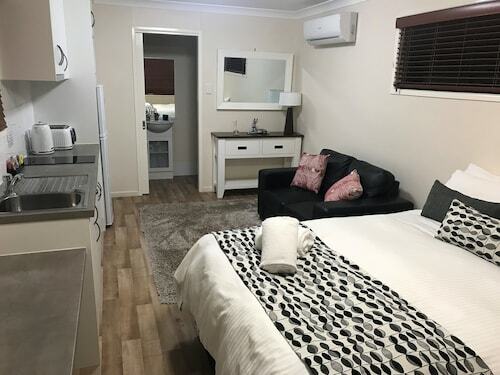 It doesn't get any more central than the Allegra Hervey Bay and the White Crest Luxury Apartments! 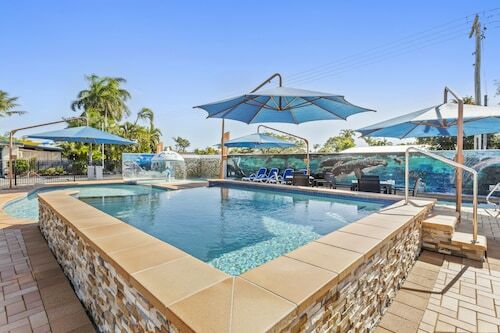 The Fraser Lodge Holiday Park and the Ingenia Holidays Hervey Bay are also worth checking out. If you love gardening, you'll enjoy retreating to Hervey Bay Botanic Garden. Akama Resort and Best Western Plus Quarterdecks Retreat are handy places to stay if you're looking to be near this attraction. Avoid the heat at Wetside, a spot that provides water-based excitement for everyone. Rest your head at The Grange Resort and Best Western Ambassador Motor Lodge and you can drop by this hotspot everyday. 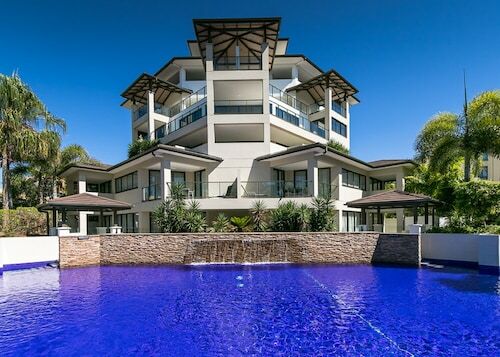 For some alternatives, checkout the Mercure Kingfisher Bay Resort Fraser Island and the Oceans Resort, an Ascend Hotel Collection Member. They are located 20 kilometres and 3 kilometres respectively from the main center. If these two aren't for you, try the Whalecove Resort or the Kingfisher Bay Resort. The nearby cities of Maryborough and Eurong are certainly worth checking out. Maryborough is 30 kilometres to the southwest of Torquay, while Eurong is 35 kilometres to the southeast. Accommodations in Maryborough are the McNevin's Maryborough Motel and Blue Shades Motel. Eurong options are the Eurong Beach Resort and Fraser Island Beach Houses. Travellers planning on flying via Hervey Bay Airport might like to book a bed at the BreakFree Great Sandy Straits or the Mantra Hervey Bay, which are both a short distance away. How Much is a Hotel Room in Torquay? Hotels in Torquay start at AU$45 per night. Prices and availability subject to change. Additional terms may apply. The building and the apartment are of good quality, unfortunately it appear the housekeeping has not been maintain and we did point out to the lady manageress what we thought needed to be cleaned and in particular kitchen utensils and dust that had accumulated. Apart from that our stay was pleasant and the location was great.